Egalitarians, be it modern liberals or the Left, would like everyone to think that the colonisation of White homelands by settlers of colour is irreversible, and that this (according them) now permanent situation is a sign of ‘progress’, resulting from the technological overcoming of geographical barriers, the deprecation of ‘antiquated’ notions of identity, the destruction of traditional hierarchies, and the increasing move towards a fluid world. Yet this is vision is purely ideological: there is nothing intrinsically progressive inegalitarianism or globalisation,the latter of which is an expression of the former; they are merely the expression of an ethics that subjectively declares equality to be an absolute moral good. And herein lies the principal difficulty in the effort to instigate a change of government policy: in our age, the dominant morality in our society is an egalitarian morality, and it is this, rather than any of the contrived pseudo-economic arguments we often hear repeated in the mainstream media and liberal and Left-leaning think tanks, that serves as the ultimate basis for justification—either for continuing the policy or for not reversing it. Most ordinary citizens in the West agree that there are too many ‘immigrants’ (settlers of colour) and would rather their governments stopped them coming and sent most of them back. They dare not say or call for this publicly, however, because they fear that desiring this makes them ‘bad people’ and would cause others to think them so too. This is why no amount of economic data, crime statistics, or racial science has any effect on policy. To see it change we will need to be able to articulate the case for change in moral terms, and I believe this cannot be achieved without attacking egalitarianism in moral terms, because it is its enshrinement of equality as a moral good that lies at the base ofthe modern liberal project.Once the moral standing of egalitarianism is destabilised, and once an ethics of inequality (the moral goodness of difference, or the moral goodness of quality) issuccessfully articulated, then it will become a lot easier to justify a change inimmigration policy throughout the West.Of course, reversing the effects of decades of colonisation is more difficult whereit has been more intensive and where the indigenous have intermarried with thesettlers, but, from the perspective of physically relocating, those who immigratedcan just as easily emigrate: after all, did they not emigrate from their countries oforigin in the first place? It is not the migration that is difficult, even if large numbers are involved—it’s everything else. Alexander Dugin, a youngish, stylish, slim, neat, hip and bearded don at the Moscow U, is a cult figure at his homeland; people throng to his lectures; his plentiful books cover a vast spectre of subjects from pop culture to metaphysics, from philosophy to theology, from international affairs to domestic politics. He is fluent in many languages, a voracious reader, and he made the Russians aware of many less known Western thinkers. He is ready to wade deepest waters of mystical and heterodox thought with mind-boggling courage. He thrives on controversies; adored and hated, but never boring. He is a scholar and a practitioner of Mysticism, akin to Mirchea Eliade and Guenon; a church-going adherent of traditionalist Orthodoxy; an ardent student of conspiracy theories from Templers and the Holy Grail to Herman Wirth’s Arctogaia; he is a master of tools sharpened by Jean Baudrillard and Guy Debord; but first and foremost, he is a dedicated fighter for liberation of mankind from the vise of liberal tyranny in American-dominated New World Order, or even from Maya, the post-modernist post-liberal virtuality - by political means. Alexander Dugin was in Paris on the 25th of may 2013 for a joint conference with Alain de Besnoist, of GRECE, Krisis and Nouvelle Ecole fame and Laurent James, a controversial writer and artist who deals with esotericism and metaphysical Revolution. The conference was held in the historical center of Paris, place Saint-Germain-des-Prés, in the “Salle Lumière” wich translates as the “Room of Light” – there are no coincidences. It took place four days after the ritual suicide of Dominique Venner in the cathedrale of Notre Dame on the 21st of may, thus asserting itself as the first metaphysical and geopolitical conference of a new aeon. The day after, on the 26th, the massive anti-gay marriage demonstrations escalated into violence all night long, protesting the postmodern liberal “coup” of the despised pseudo-socialist government who had just passed the law in a quasi totalitarian fashion, ignoring the millions of people on the street and the growing anger of the population against the state of the country. Some said this was an anti-May 68, or a conservative revolution taking the streets ; whatever will come out of it nobody knows, but it could be the starting point of mass disillusion with the system and its globalist-deconstructivist agenda. What is perhaps initially most appealing about this publication – aside from the promise of an offer of a fresh, viable alternative to the present stagnant political void, this “end of history” in which we find ourselves – is the comprehensive critique of the prevailing liberal ideology from a perspective which neither wholly aligns itself with the traditional positions in opposition to liberalism, nor stations itself against these. 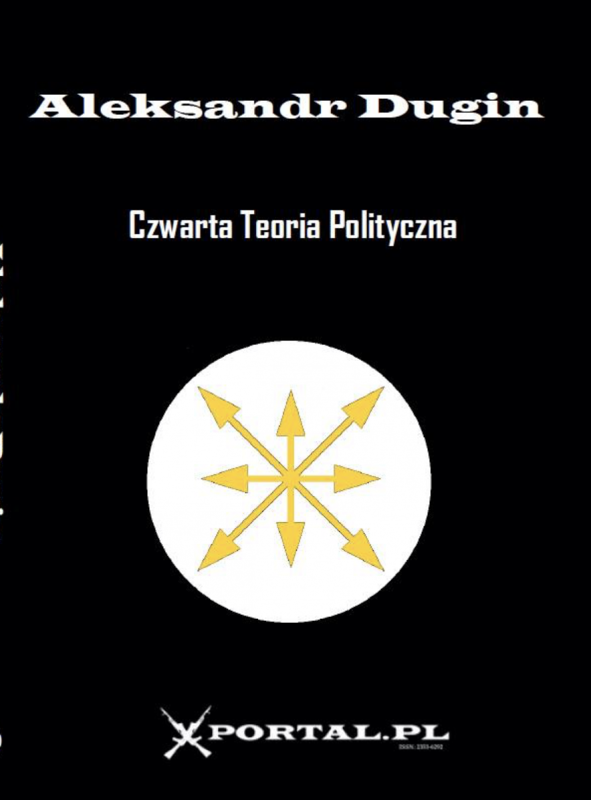 The principal aim of Professor Dugin's work is not simply to deconstruct the previous failed political theories, which he lists as fascism, communism, and liberalism, but to fashion a new fourth theory, utilising what may be learnt from some of the previous models after their deconstruction rather than dismissing them outright on the basis of particulars worthy of rejection. 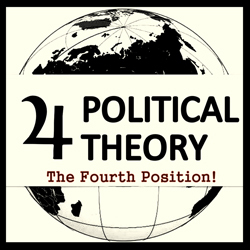 That is not to say that the Fourth Political Theory is simply a synthesis of ideas that in their singular form have seen their day. Dugin is conscious of the necessity to bring something new to the table, with one of the principal of these novel ideas being the rejection of the subjects of the old ideologies, such as class, race, or the individual, in favour of the existential Heideggerian concept of Dasein (roughly Being or being-in-the-world . Literally da – there; sein – being) as the primary actor. On October 28, 1940, Italy attacked Greece. We know now that Italian invasion was due not to Mussolini’s initiative but to Ciano’s one. For the latter was in contact with the British; and the British wished Greece to be involved into the Second WW in order to establish air bases on Greek territory and bombard the oil fields in Ploieşti, Romania. Iōannēs Metaxas was by then Greece’s Prime Minister. He was a brilliant Engineers officer and a noted pro-German as well. On August 4, 1936, he managed to have an authoritarian system imposed on Greece – under his own leadership. Still Metaxas was dependent on King George II of the Hellenes. The Sovereign had expressed during the First WW the same pro-German sentiments as Metaxas. But his mind was changed in the 1930s: he had fully understood that Greece was run (and she keeps being run) by a supra-masonic government closely associated to Great Britain’s “deep state”. So, the most important point in the actual situation in the international field is the fundamental changes in the architecture of the global politics. There are kinds of international orders that follow one another and to begin to discuss where we are we should make a little survey concerning the international orders that existed in the past in order to understand better what is going on in the present. So, we could make appeal to two concepts, two theories. First of all, we could take Carl Schmitt’s ideas of Nomos (Greek word) of the Earth. According to Schmitt’s German political theories there was a first Nomos of the Earth corresponding to the traditional empires of the pre-modern past. So, it was a kind of pre-modern world order where the actors, the hierarchies, the hegemonies, the balance of powers were completely different structurally from the modernity. It could be defined as the pre-modern international order. To this concept totally corresponds the idea of ancient or classical international system proposed by the English researchers of international relations Barry Buzan and Richard Little. So, these two concepts in sum correspond each other. The pre-modern first Nomos of the Earth (Carl Schmitt) and the classical/ancient international system (Barry Buzan). - Jobbik is a national conservative party which does not refrain from using radical means. So when they label us as radicals, they are wrong. Radicalism is not a principle, it is a method. The reason why we are radicals is because the situation is radical as well. At the moment, we Hungarians are sick passengers on a sinking European ship that has lost its values. This is unbearable. First we must get off the ship, then cure our diseases. Hungary was not admitted to the EU so that we could develop. The goal was to colonize us, to exploit our cheap labour and acquire our markets. Western companies and banks now try to maintain their systems by using the profit they pump out of our country in the East. And this is just the economic side of the problem. The EU did not bring any good in terms of the spiritual, mental side, either. After the anti-value approach of Communism, we are now living in the valuelessness of capitalism. I personally follow traditionalist principles, in other words, I believe that Europe should get back to its own roots and rearrange its relationship with other traditional cultures that only exist in the East now. Myths about Hyperborea, the land of forefathers in the Far North, about the country that lies "beyond the north wind", are very deeply embedded in the collective unconscious and mythology of almost all Indo-European nations (and, of course, not only of their). By itself, this fact has great importance. But, more important than the fact of their widespraeding is the question what is their meaning. If Hyperborean myths really have such an important role in the unconscious of the Indo-European peoples, they have this by their own significance, due to its interior facilties. Because, for us, a myth in not "false story", a superstition or a misunderstanding. Myth is timeless reality, which is, perhaps, "not never enact anywhere," but is constantly repeated in history and, indeed, in a reality that determined and defined it. Being involved in geopolitical studies for decades and being founder of the modern Russian school of geopolitics I have made much historical research on the geopolitical identity of Greece, ancient and modern. In the first place, according to the core texts of geopolitics (starting from Halford Mackinder), it’s regarded as essentially double: Athenian thalassocracy vs. tellurocracy of Sparta. So both principles, Sea and Land, defined the dialectic nature of Greek history. That was precisely what Thucydides who in his history of Peloponnesian war, developed in his dialectic: Fleet/Sea as the main weapon of Athenian Empire, and Infantry/Land as of Sparta. In this way thalassocracy was linked to democracy, and tellurocracy to aristocracy. Therefore all depends on the point of view: if we consider (against Plato and Aristotle) democracy as the absolute form of polity then Greece is seen from thalassocratic angle, but if we prefer nobility, spiritual tradition and hierarchy then Land power and Sparta are taken as ideal. We see this dearly when we remember what an important role was assigned to the concept of security in the bourgeois epoch just past. The bourgeois person is perhaps best characterized as one who places security among the highest of values and conducts his life accordingly. His arrangements and systems are dedicated to securing his space against the danger that at times, when scarcely a cloud appears to darken the sky, has laded into the distance. However, it is always there: it seeks with elemental constancy to break through the dams with which order has surrounded itself. The modern thought police is hard to spot, as it often seeks cover under soothing words such as “democracy” and “human rights.” While each member state of the European Union likes to show off the beauties of its constitutional paragraph, seldom does it attempt to talk about the ambiguities of its criminal code. Last year, in June and November, the European Commission held poorly publicized meetings in Brussels and Strasbourg whose historical importance regarding the future of free speech could overshadow the recent launching of the new euro currency. At issue is the enactment of the new European legislation whose objective is to counter the growing suspicion about the viability of the multiracial European Union. Following the events of September 11, and in the wake of occasionally veiled anti-Israeli comments in some American and European journals, the wish of the European Commission is to exercise maximum damage control, via maximum thought control. The term political theology has, today in the West, a precise meaning: it signifies a group or a school of theologians who seek to explain the evangelical preaching of the salvation of humanity in categories offered by contemporary political theories, particularly those of the Marxist and neo-Marxist left. This quest of political theology ranges from pure scientific research for a political interpretation of the texts of the Bible to the direct and active mobilization of theologians and clergy in radical socio-political movements. Behind each of the phases of this quest one can discern the classic problem of Western Christianity: the oscillation between the transcendent and the secular, between the abstract idealism of a conceptual metaphysics and the immediate affirmation and pursuit of material goods in life.